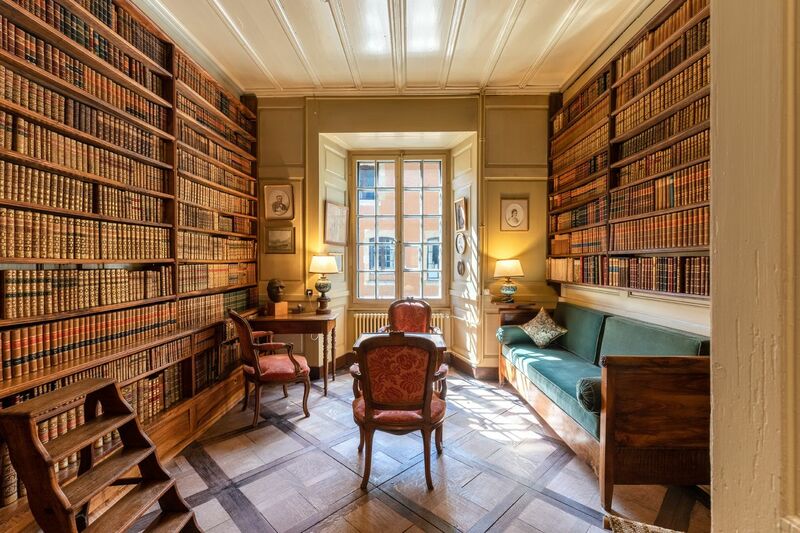 This elegant 18.5 room property, a former winery, was built in 1710. It is divided into two independent homes with the possibility of extension. It offers a 12.5 room principal residence of approx. 495 m², and a 6 room apartment of approx. 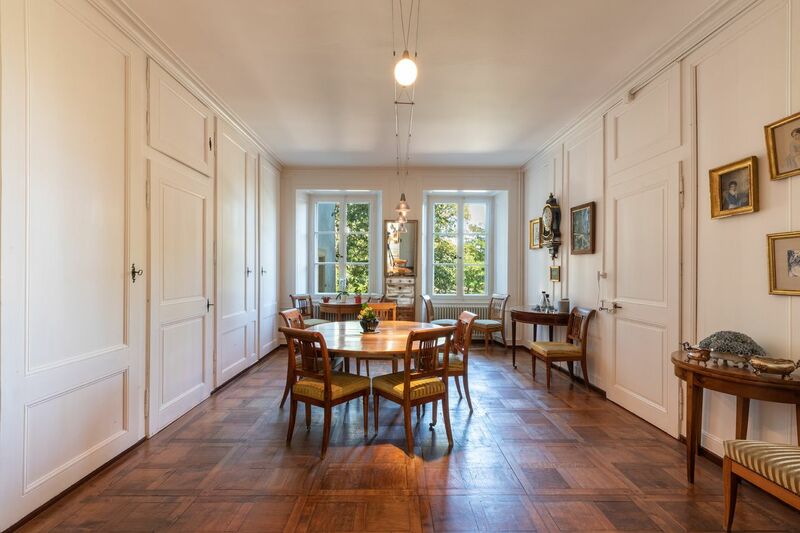 125 m² with a separate entrance. Its high ceilings, beautiful fireplaces, exquisite patterned stoves and decorative and protective grilles on the windows create a delightful setting steeped in history. You will find that each room is more beautiful and charming than the last! 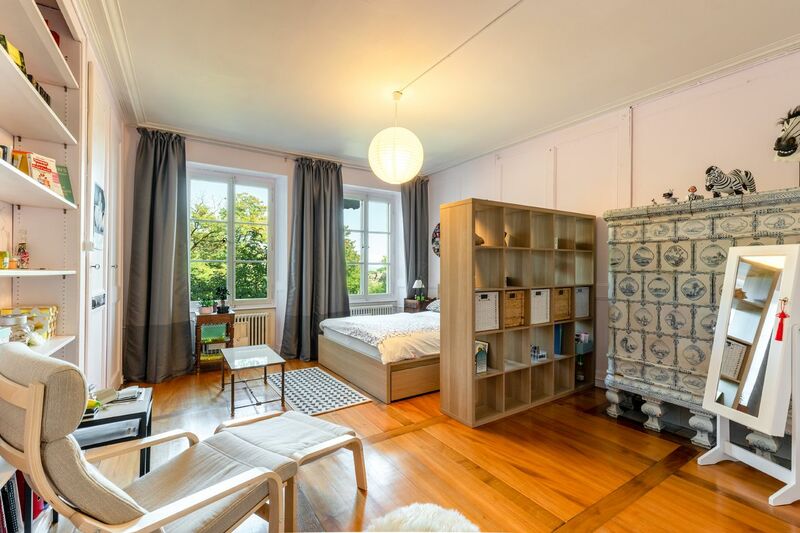 The interior features pastel and brighter tones, and the original colour palette has been preserved and restored, as have the solid wood floorboards. The property boasts a large central staircase and a convertible loft space that can be fitted out as desired. 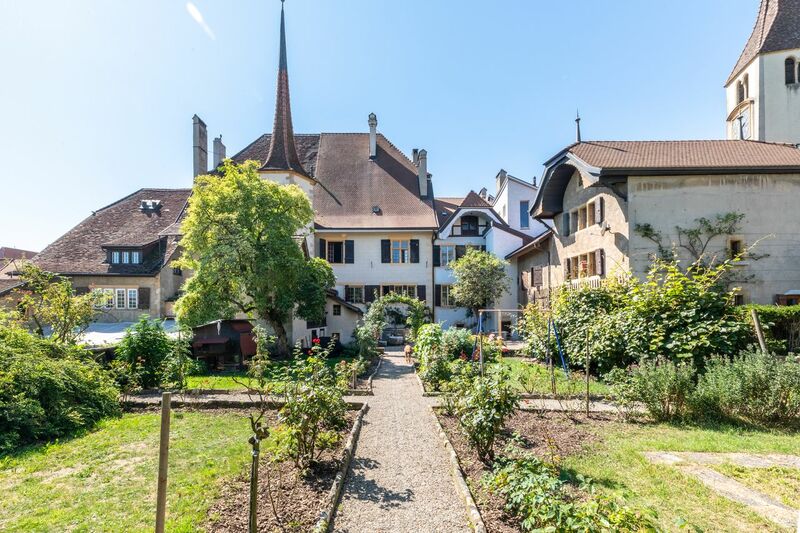 One of the charms of this Neuchatel property is its views over the outbuildings, the orchard and the extensive well-planted garden of about 1,060 m². Finally, a large interior courtyard complete with a pretty well, and accessible from both properties, provides a private outdoor space. Ideal as either a family home or a residence for busy professionals, the future occupants are sure to be won over by the property’s charm. This property enjoys a prime location just a short walk from the railway station, bus stops, shops, primary and secondary schools and the lake. 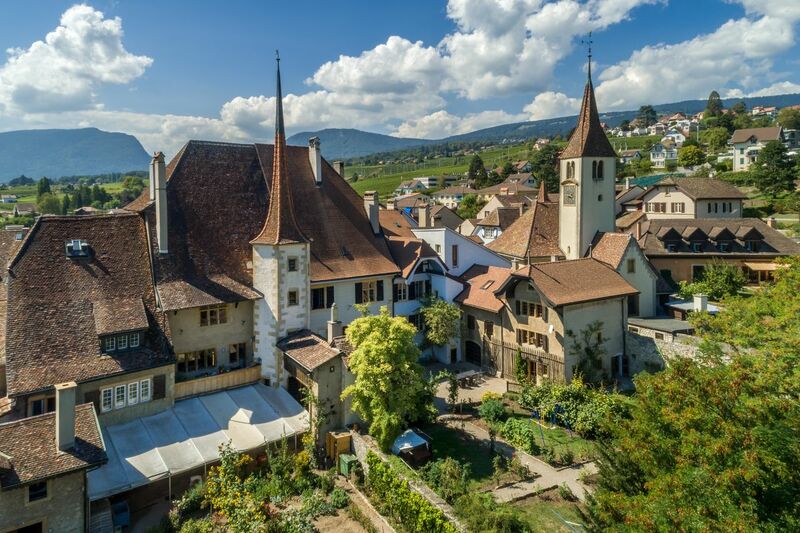 The old municipality of Auvernier is today part of Milvignes, the largest wine-growing municipality in the canton of Neuchâtel, with 145 hectares of vineyards. 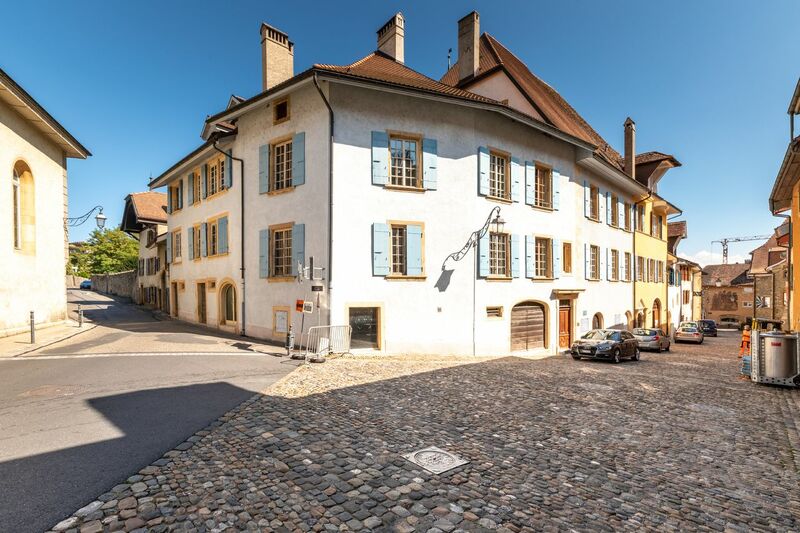 Stretching from the lakeside of Neuchâtel to the foot of the mountains, the municipality’s location is perfect for a range of activities. A marina, a lakeside that is paradise for swimmers, vineyards and forests perfect for a stroll or for exploring. In addition, sports and leisure facilities are in abundance. A theatre and three multi-purpose halls are host to a variety of cultural activities. Each property has a separate entrance, enabling the owner to live in one home and rent out the other. The building was constructed in a U-shape and its beautiful, private outdoor space offers peace and tranquillity. 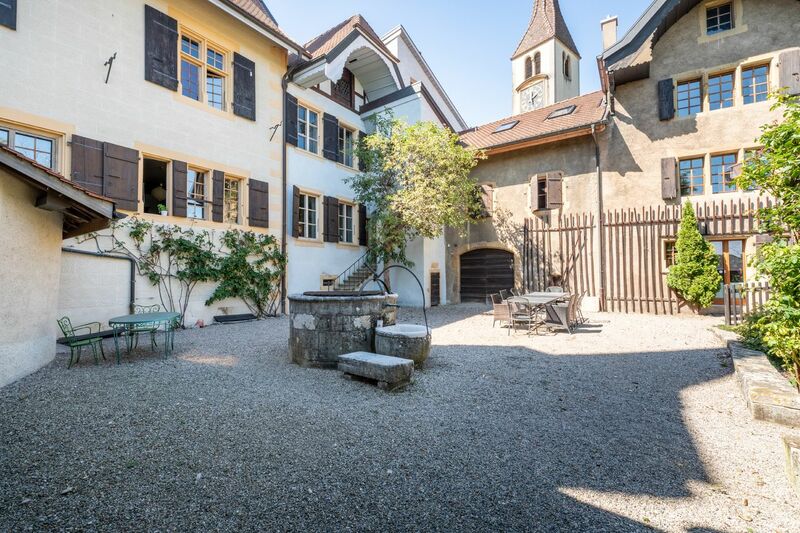 A large orchard of about 3,600 m² provides an abundance of fruit and completes this property. 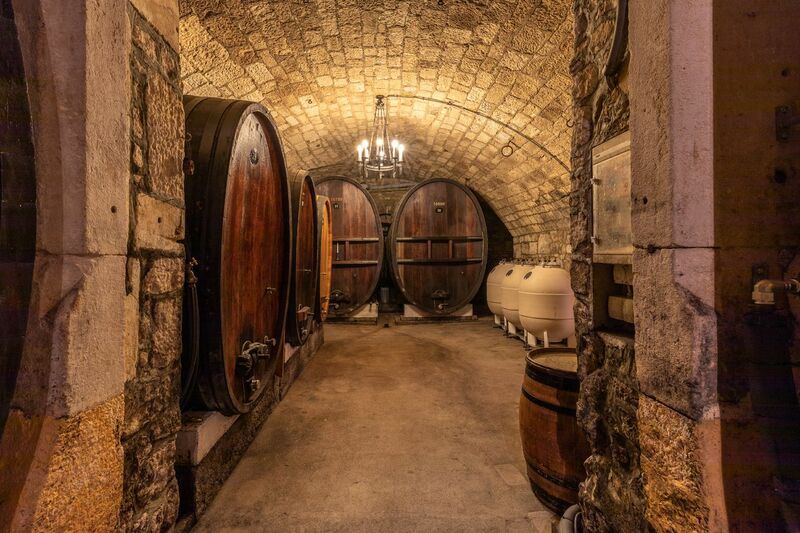 The lower ground floor boast magnificent vaulted cellars with large, original barrels that are currently rented to a local wine-maker. Furthermore, separate cellars have the potential to be developed into a garage for two to three vehicles. The entire house is fully functional and is in excellent condition. The roof was completely replaced between 2002 and 2007, the oil boiler was replaced in 2014 and the electricity was updated to comply with modern standards in 2002. An outbuilding containing the boiler room, a walk-in cupboard, a gallery and a workshop complete this property.